The inviting display makes Ranger 3000 extremely simple to use. The LCD backlit display is 1.5", 57% larger than displays on other comparable products. Checkweighing LED’s provide additional confirmation and clarification of results. The bright display makes Ranger 3000 ideal for use in dim settings. 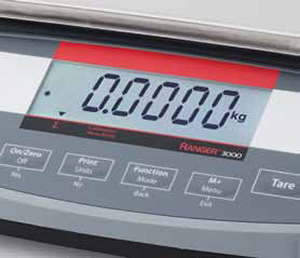 Simple menu navigation and dedicated keys make Ranger 3000 the most user-friendly industrial scale on the market. Complete with dedicated TARE key and Yes, No, Back, Exit keys, Ranger 3000 eliminates the need to master complex input commands and allows you to focus on the job at hand. 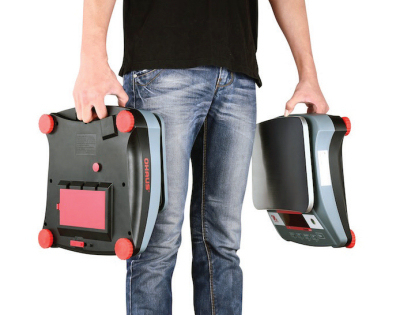 Ranger 3000 produces accurate results within one second. Rapid stabilization virtually eliminates your wait time and allows you to move at a pace determined by you and not your weighing equipment. Work efficiently and with confidence that your results are accurate. Maximize your throughput without sacrificing accuracy with the Ranger 3000. The easy-to-use and install weigh below hook offers the functionality to perform specific gravity tests. It can also be used to weigh items that cannot be easily lifted on to the weighing pan. 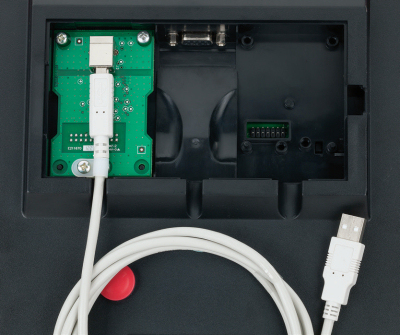 Standard RS232 with optional Ethernet, second RS232 and USB offers additional data transfer capabilities and allows connection to multiple peripherals. Say goodbye to being restricted to working only near power outlets! With its convenient carrying handle and rechargeable lead acid battery that can provide power for more than 210 hours, Ranger 3000 can provide many hours of uninterrupted operation in the area of your workspace that most conveniently fits your needs. It can also be powered through the easy connect power cord that takes up minimal space and automatically adapts to different power line voltages and frequencies, eliminating disruptions in workflow due to power outages and shortages. 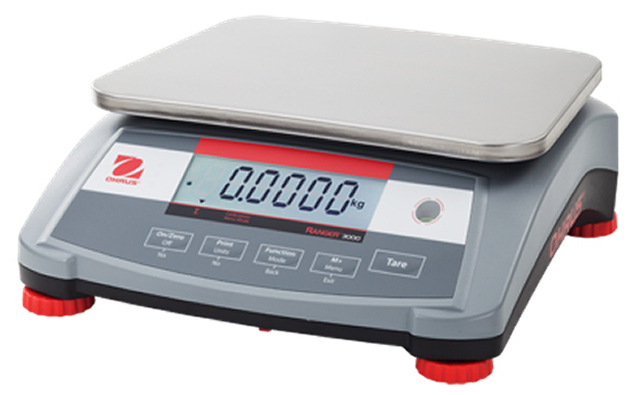 The Ranger 3000 series of scales meets or exceeds the Class III accuracy requirements in accordance with NIST Handbook 44 and Canada’s Weights and Measures Regulations. Weighing - Determine the weight of items in one or more weighing units -- lb, oz, lb:oz, kg or g.
Percent Weighing - Measure the weight of a sample displayed as a percentage of a pre-established Reference Weight. Check Weighing/Percent/Counting - Compare the weight/percent/count of a sample against target limits. Choose from Checkweight, Checkpercent or Checkcount. Accumulation - Totalization of weight, count or percent. Calculates total accumulated weight, count, or percent of separate items. 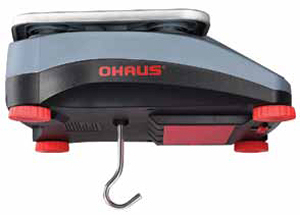 Display Hold - Manually or automatically holds the last stable weight on the balance display. Activated by setting time interval of Dynamic Weighing to zero.